Mason Turner, MD, offers strategies for helping people stay healthy while commuting. For some people, taking a drive on a country road can be a way to unwind. But there’s another type of driving: Battling the congested highway every day to get to and from work, which is actually stress-inducing. Yet it’s the reality for many. 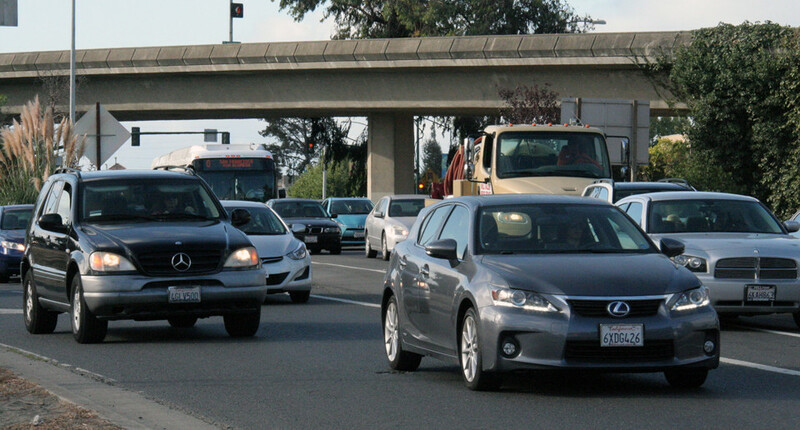 People in the Bay Area and the Central Valley have some of the longest commutes in the country, and the majority of them drive alone, according to the most recent Census Report. But the good news is that there are ways to make the commute less stressful and more enjoyable. 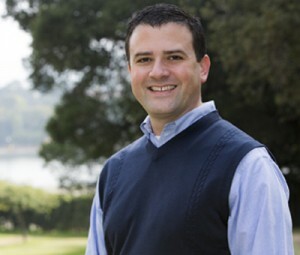 Mason Turner, MD, director of Outpatient Services for Regional Mental Health and Chemical Dependency, and chief of Psychiatry at Kaiser Permanente San Francisco Medical Center, shares these strategies. How does commuting contribute to our stress? When you are battling city obstacles, such as roadwork, school crossings, or accidents, and it takes you 45 minutes when it should take 10, that’s frustrating. Then there are those of us who travel great lengths to get to work and get trapped in standstill traffic on a freeway or bridge. Again, the frustration of gridlock and the exhaustion of spending so much time on the road contribute to stress. If you spend hours of your day in a car, that means less time for exercising or preparing healthy meals. Eating right and regular exercise reduce stress. A lack of both can lead to weight gain. You can see that it is all inter-related. I’ve also seen home-life issues come up with people who have ultra-long commutes of more than 60 miles each way. They are not spending time with their families, and a long commute can affect someone’s mood and how that person relates to their spouse and children. Tell us about the consequences of stress in general. Stress can affect our physical and mental health. When we are stressed chronically, we have trouble managing our health, such as blood sugar or blood pressure. We may get colds more frequently. There’s even increased risk of cancer, some studies have suggested. It’s been proven that stress hormones can make it harder to lose weight. The brain also doesn’t work as well when we are under stress. Our sleep suffers when we’re stressed out, and being sleep-deprived also affects our cognitive functioning. When we are too stressed, we don’t manage our frustration well, and that can lead to aggression, such as road rage. How can we de-stress our commutes? Carpooling is one of my favorite ways to manage commute stress. There’s someone to commiserate with and be social with. If there are enough people in a car, you can take carpool lanes and switch out who drives to work each day. If co-workers can carpool, then they can do work while in the car, so maybe they can leave earlier and have more time with family. Another strategy is to adjust your commute to miss peak commute times. That will not only help your health, but also the environment. Also, use the commute to do something that is helpful or enjoyable. Listen to an audio book, for example. Reduce commute stress by giving yourself extra time for the drive, and by checking on the traffic report before getting behind the wheel to see if you should use alternate routes or pick up carpoolers. And when you do arrive at work after a horrible commute, try to take a few minutes to relax before beginning the workday. It’s crucial to learn strategies on managing your commute and stress. If you do, I guarantee you will see a difference in your health. For information on carpooling, biking to work, using public transport, and other commute alternatives, go to www.sparetheair.org and www.stacommutetips.org. If you are in the Sacramento area, go towww.sacregion511.org/rideshare/. For assistance with stress in general, kp.org has great resources for learning how to relax.